This Maxwell jacket from Bering is fully CE approved. You can wear it all year round, even in the wet as it is 100 percent waterproof. But if you do get too warm and sweaty there is a thermal lining that is removable too. 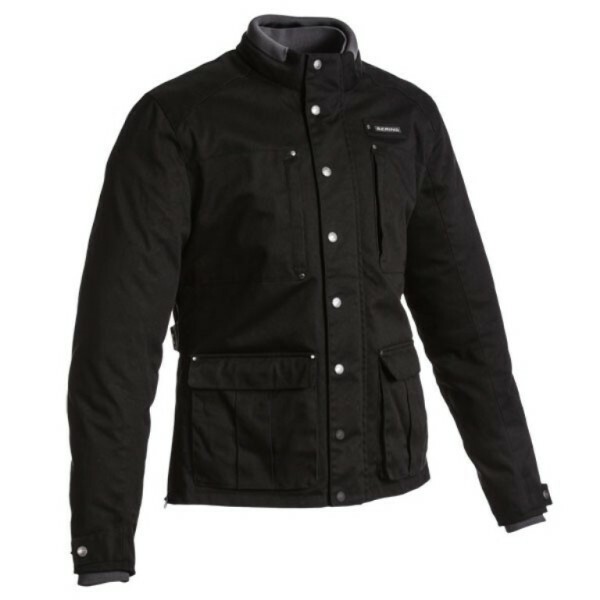 It comes with some handy pockets, inside and outside the jacket, and there are also sleeve adjustments, so you can make sure your Maxwell jacket is as comfortable on you as possible. Not only that the elbow protectors are height adjustable as well.